sightseeing and a short-visit not exceeding 14 days as from November 1, 2017 until July 31, 2018. The Taipei Economic and Cultural Office (TECO) in the Philippines has the pleasure to announce hereby that starting from November 1, 2017, Philippine nationals who intend to visit the ROC (Taiwan) for the purpose of tourism, business, visiting relatives, attending functions or events can enjoy visa-free entry to Taiwan, ROC, for a duration of stay up to 14 days. This visa-free initiative shall undergo a 9-month trial period until July 31, 2018 as part of Taiwan’s goodwill and efforts of the “New Southbound Policy” to build closer people-to-people exchange of visits and an economic community between Taiwan and the Philippines. 3. A proof of accommodation (hotel) booking or host/sponsor’s contact information /or arrangements of tour, travel, visit, events and meeting etc. However, those who intend to stay in Taiwan for more than 14 days or for the purpose of study, work, missionary, employment and other gainful activities are still required to obtain appropriate visas before entering Taiwan. Dr. Gary Song-Huann Lin, Taiwan Representative to the Philippines, emphasizes that as the Philippines is not only Taiwan’s closest neighbor but also Taiwan’s important partner of “New southbound policy”, the granting of visa-free privilege to all Filipinos is one of his longtime visions to build strong bilateral relations and a closer living economic community between the Philippines and Taiwan. It also aims to enhance the mutually beneficial bilateral tourism, trade, investment, technology, agriculture, economic, cultural, educational and people-to-people cooperation and exchanges between Taiwan and the Philippines. Representative Lin is hoping that this historical visa-free initiative will attract more Filipino visitors to visit Taiwan, and lay solid foundation for a genuine friendly bonding between our two nations. To reciprocate Taiwan’s goodwill and friendship, Dr. Lin would also like to urge the Philippine Government and Manila Economic and Cultural Office (MECO) to grant visa-free treatment to Taiwan nationals as the Philippines has already given visa-free treatment to many other countries. “Through these significant efforts, we will surely enhance our bilateral tourism, economic, cultural, educational and other areas of cooperation and exchanges which will eventually bring mutual benefits to the peoples of Taiwan and the Philippines” emphasized Dr. Lin. Since 2016, the Taiwan Government has endeavoured to liberalize and simplify visa regulations for Philippine nationals, including the free “Travel Authorization Certificate” (TAC) for qualified visa-free travellers and the payable e-visa (online visa). These two relaxed visa application systems will be suspended for Filipinos upon the implementation of the visa-free treatment as from Nov. 1, 2017. Passengers who enter Taiwan before Nov. 1 with valid TACs may continue to stay for up to 30 days. But for passengers who do not enter Taiwan before Nov. 1, their TACs will be no longer valid even within its validity. All approved e-visas before Nov. 1 (including the date) will still be valid to enter Taiwan with duration of stay up to 30 days. Those who have already obtained long-term & multiple Taiwan visas which have been stamped on their passports can still use their visas to enter the ROC (Taiwan). 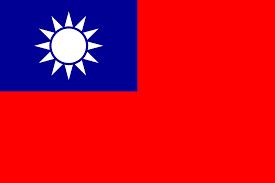 For further ROC (Taiwan) visa information, you may check the website of TECO in the Philippines at http://www.roc-taiwan.org/ph. This entry was posted in Articles, Travel Advisory. Bookmark the permalink.